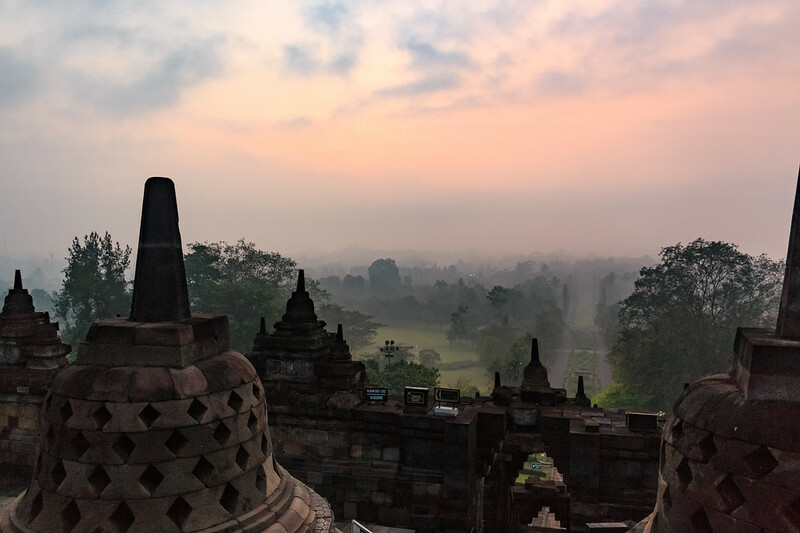 Watching the sunrise from Borobudur temple is one of the most incredible travel experiences one can have. When looking for pictures and videos online before getting there, we knew that was one of the places we absolutely had to see before we die. That’s exactly the thinking process that went behind building our top 100 list. 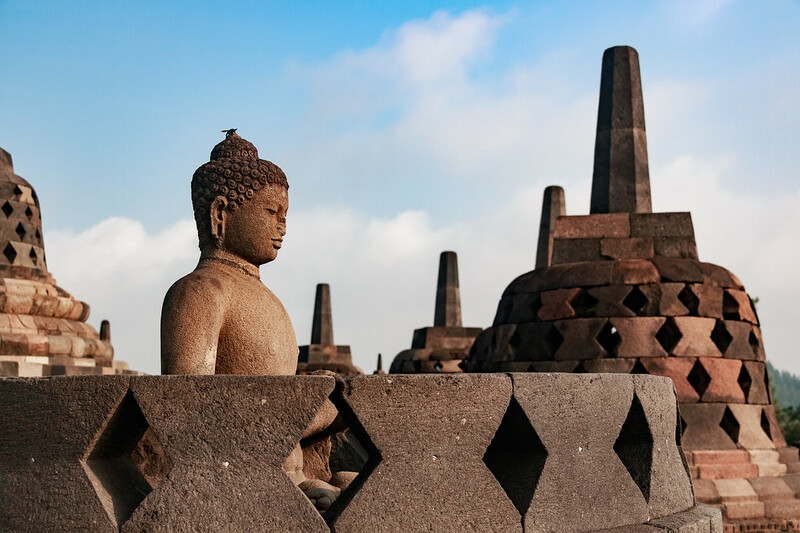 Borobudur temple, amongst other places on our list was one of the first to make it to our top 100 without a doubt. 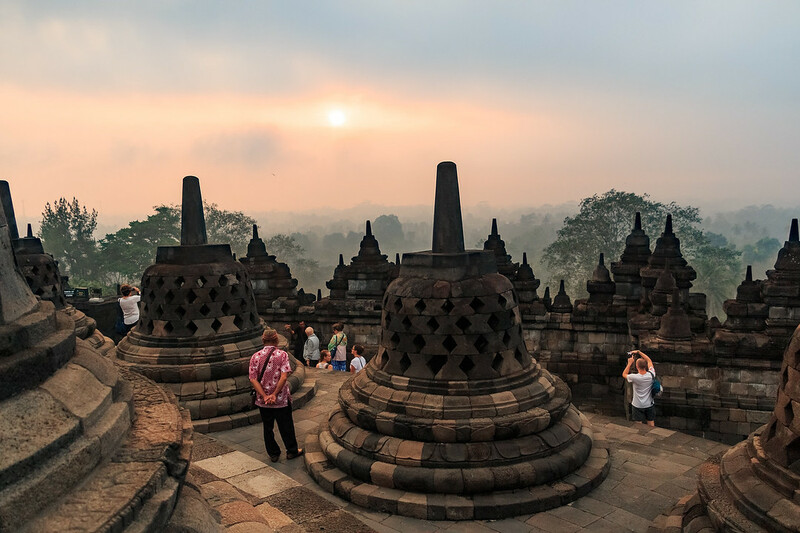 Borobudur temple is the world’s largest Buddhist temple as well as an amazing location in Indonesia to watch the sunrise. Along with Prambanan temple, Indonesia’s largest Hindu temple compounds, it is one of the reason why many people travel to the city of Yogyakarta, Indonesia’s historic capital. 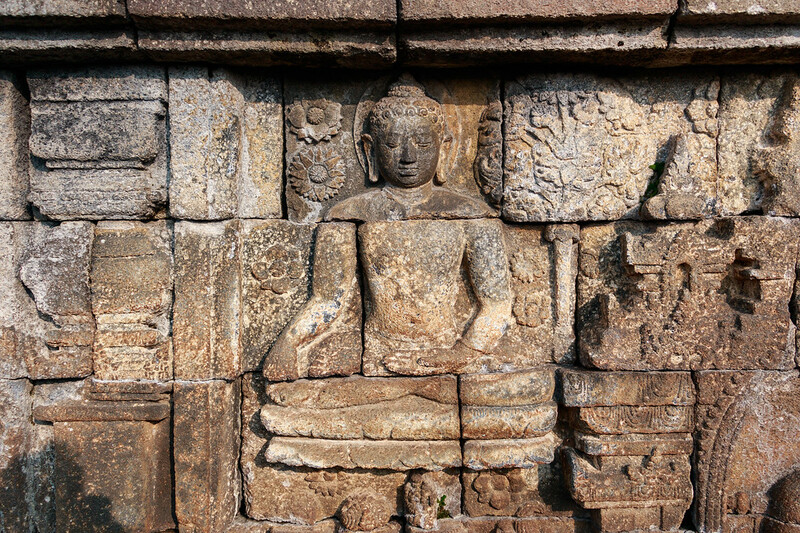 Here are a few tips for you to do a Borobudur sunrise tour on your own. 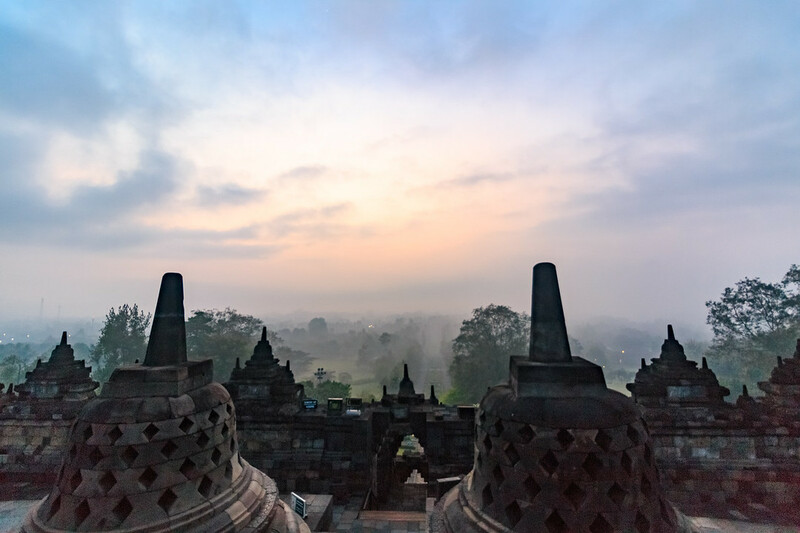 You can easily book a Borobudur sunrise tour directly from Yogyakarta. These tours will usually pick you up at your hotel or guesthouse in Yogyakarta around 3am and bring you to Borobudur temple, then bring you back to your hotel or guesthouse. Some will include other stops and visits. 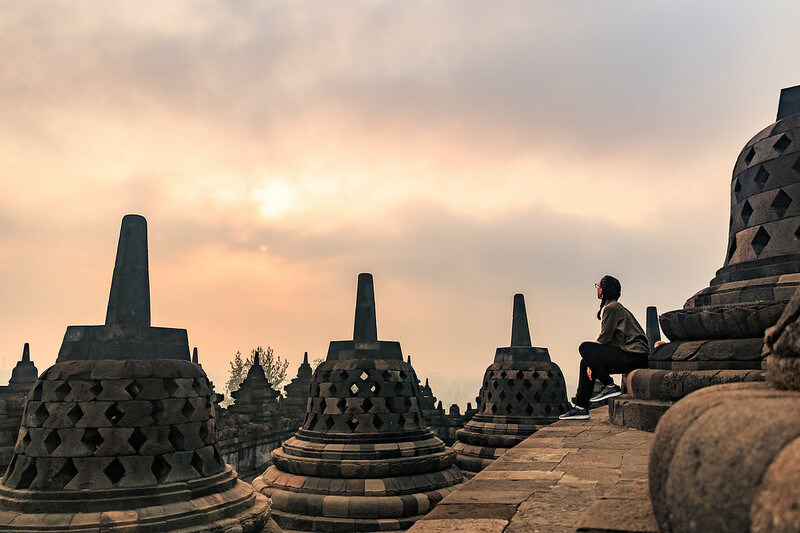 We didn’t book one of these tours simply because we wanted to spend a night in a Borobudur hotel, so we would be close to the temple and wouldn’t have to wake up so early. Also, the cost of transportation was not worth it. Especially as we had the time to do it by ourselves. While we don’t particularly enjoy the fact that this hotel is the only one allowed to sell early entrance tickets, if you want to enter Borobudur before 6am, you have no other choice but to book through them. Tickets are sold at 450,000 IDR per person. It allows you to enter from 4.30 am and includes a torchlight, a light snack and a gift. 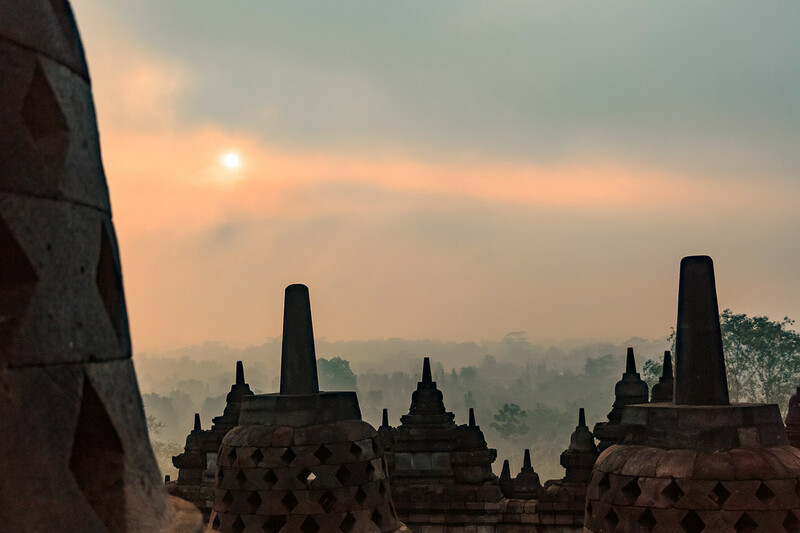 Depending on the time of year you are visiting Borobudur, note that the sunrise times are different. We visited in June and the sun was rising around 5.30am with the first lights at around 5am. We really wanted to be there early not to miss those first rays of sun, because that’s the best time to shoot photos and videos, but it’s not for everybody ! The day we went for our Borobudur sunrise tour, the weather decided to be cloudy and foggy. So we basically didn’t see any sun before 5.45 am and the light was not the golden orange light we were hopping for. Know that this happens often as the weather in Java can be unpredictable, even if it is not rainy season. One other thing we did not enjoy was the crowd. Borobudur sunrise is a very, very famous experience and many tourists are willing to pay for it. Be prepared, the place will get really crowded. Actually, many people come there with a tour and leave around 6am. The temple was quiet after 6am when it opens to the public. Therefore, if you are not a photographer or videopgrapher, and if you are on a budget I would advise you to come at 6am. The light will still be nice and the best thing is, you will avoid the crowd ! Check out Manohara Resort on Agoda ! To go to Borobudur from Yogyakarta we wanted to be free of a tour and not have to squeeze in one of these packed and uncomfortable vans. So as usual, we like to rent a scooter and make it a bit of a road trip ! In Yogyakarta there are many scooter rental places, especially around Jalan Prawirotaman. Most of them will rent you a scooter for 50.000 IDR per day. 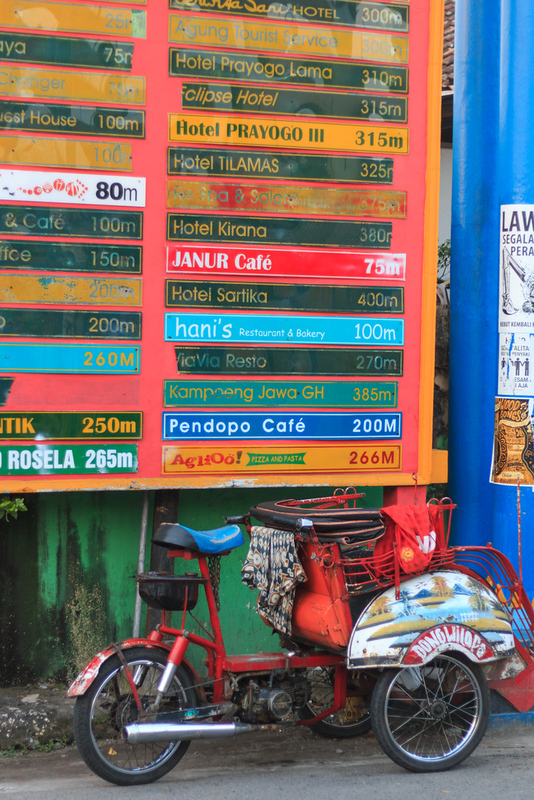 Check out our article on Yogyakarta to get more infos on scooter rental in Yogyakarta. There are many choices of guesthouses and hotels around Borobudur temple, for every budget. But to be honest, compared to guesthouses and hotels in Yogyakarta, we felt like nothing as good value for our money. They offer double rooms ranging from 250,000 to 300,000. Their garden is lovely and the rooms were spotless. The only issue is that Mettaloka Guesthouse is quite close to the road. Check out their prices and availability on Agoda and their reviews on Tripadvisor. The Amrta is a mid range guesthouse with a refreshing pool offering nice rooms in a traditional architecture. We stayed there as we got almost 50% off by booking online. It’s always good to check online if you can have a better price than on site and it was the case. It is close to Borobudur temple but not directly on the street so not too noisy. Still, we were not completely happy with this place as the rooms are quite small, and we felt like for the original price, this guesthouse could be improved. The exteriors were really nice though. We checked out all of these guesthouses so we listed them to give you more information but we only stayed at Cempaka. Do look online to check if you can have a better price. So far, Indonesia is the first Asian country we’ve been to where it can be cheaper to book online ! Keep in mind that in every guesthouse and hotels around Borobudur you will hear prayer calls as there are many mosques around, although it wasn’t a problem for us. Especially if you wake up at 4am anyway ! Borobudur sunrise tour with Manohara resort : 450,000IDR per person, entrance from 4.30am, including torchlight, light snacks and gift.